What Color Should I Paint My Historic Home? Historical homes need special care when it comes to color and design. It seems like we are always sinking money into our homes whether they are new or old. Fixing this, painting that and updating decor seems to be the norm of a homeowner. With the Spring Home Improvement season right around the corner, let’s talk about some of your options if you own a Historic home. This is a home that my parents owned when I lived on Long Island. It was literally walking distance from the harbor and right smack in the middle of Port Jefferson Village. As you can see, it’s a super cute home but very old. I remember when we wanted to choose a color for those shutters we had to go to the Historical committee (we used to joke and call them the “Hysterical” committee because they made such a fuss over the slightest thing) you had to just about jump through hoops to change the smallest detail on your home. Was this a pain? 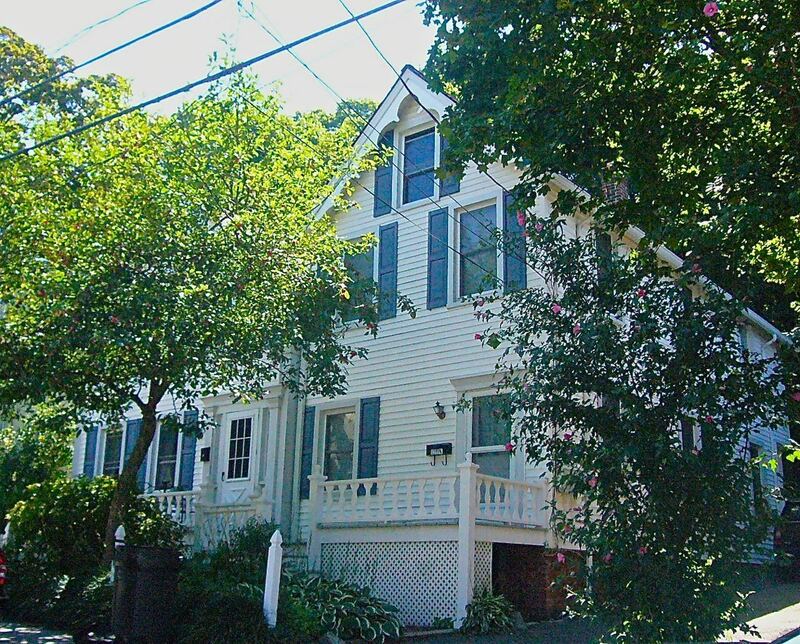 Well yes but doing so preserved all the Historic homes in the beautiful Port Jefferson. Knowing that is a nautical town, there would be a certain look that this home should have and it’s in a very specific color palette. 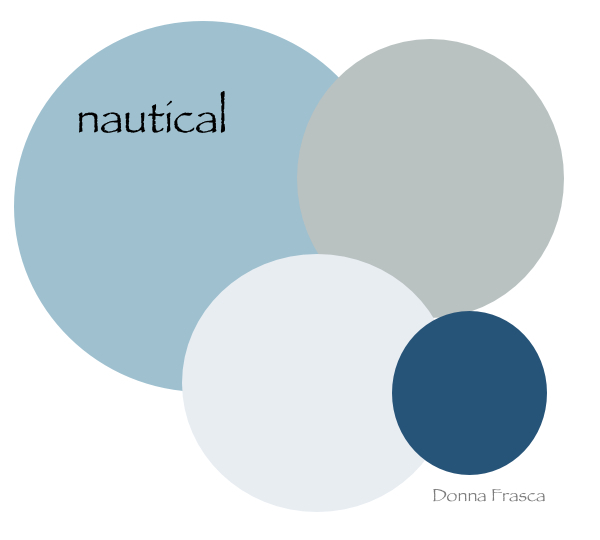 Now nautical and coastal colors can be similar. The only difference is that coastal colors would have a more greens, warmer neutrals and the blues would be more slated or muted. This color palette is VERY typical of the hues that were echoed throughout the town of Port Jefferson. They are nautical, clean and fall into the safe colors for these Historic homes. You can use colors similar to this on the outside and of course bring that same feeling inside or you can use wallpaper if that is the direction you want to go. I personally don’t ever use wallpaper because I’m constantly updating the colors in my home so paper would just get in my way. However, if I did use paper for this home, I’d certainly look at the gorgeous wallpapers of Bradbury & Bradbury. You really have to think about Bradbury’s papers with this particular home because it really doesn’t fall into any of the periods they have. Is it Victorian? Arts & Crafts? Modernism? No however, keep in mind that it is a Historical home think old and not pattern specific. The lace’s will do just fine. 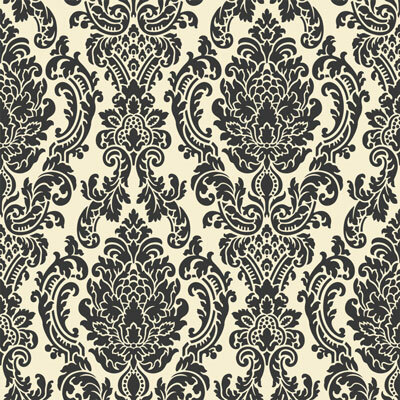 Here is a Damask that I love. Do I like lace? Yes and had it in my 1926 Arts & Crafts home when I lived in Pittsburgh. 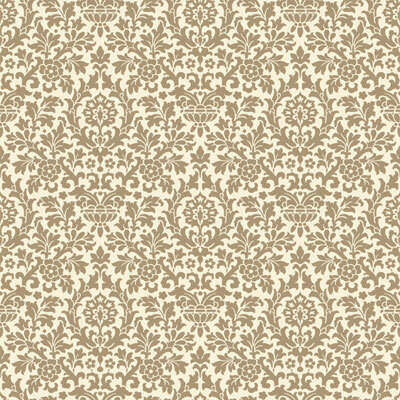 This home however, is a completely different style yet I’d make the lace pattern work. 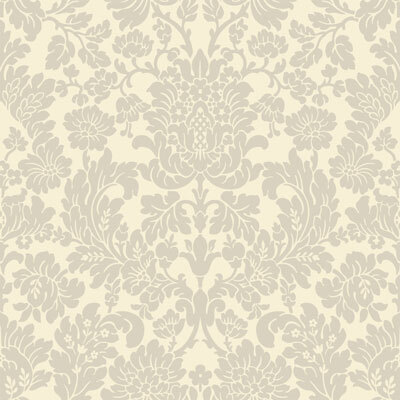 This Berkshire Ivory would be the perfect backdrop for this home. Keeping in mind the home has imperfect walls and irregular angles, this would work just fine. The soft white is a suitable color to go with the “old” feel of this home because of course, bright white is out and would just be too stark. Hampshire in Kohl would be nice for an accent wall perhaps in the bedroom. Think of adding navy blue as the accent color to balance the black and you have a complete look. And lastly I’d also consider this Essex in Clay. It’s a great neutral for any room to again be a backdrop for the nautical decor that I’d add to this house. So you see, you can get creative and break the norm when it comes to period decorating, you just have to think a little and see what your options are. 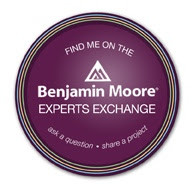 I hope you can join me today on ColorChat, a tweet chat that I host on Twitter Tuesday’s at 4pm et. I’ll be showing you a slideshow of the beautiful wallpapers of Bradbury & Bradbury. This entry was posted in Historic Homes and tagged bradbury & bradbury, color palette, historic homes, nautical color, port jefferson. Bookmark the permalink. 1 Response to What Color Should I Paint My Historic Home?